The second easiest way to rebuild your credit is by obtaining a credit card. The two types of credit cards that will typically be available to you after a bankruptcy are high-interest unsecured credit cards and secured cards. Unsecured cards are the type you eventually want to have so don’t automatically reject them simply because they charge a high interest rate. If you pay off your balance every month, the interest rate is irrelevant anyway. Besides, if you’ve recently received a bankruptcy discharge, you probably won’t qualify for the lower interest rates just yet. In addition, applying for credit for which you can’t possibly be accepted will damage your credit rating even further and likely your ego as well. In fact, Creditcards.com says, “Shortly after bankruptcy, it makes sense to apply for bad credit cards, rather than to get turned down for offers that are out of your reach.” (Jeremy Simon, 8/18/09) The thing to keep in mind, then, is what are their fees and other charges? Secured cards are where you give them a deposit of your own money, typically $200-500, and you charge up to that amount. 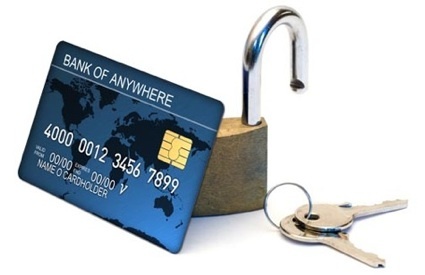 Make sure that the bank will report to the credit bureaus and that it will not be reported as a secured card. Some lenders see a secured card as an unfavorable remark and since the purpose of this card is to help you rebuild your credit, you don’t want to limit your future options because of your current choices. Also find out how long it will be before you are given the option of an unsecured card. That’s usually a year, but each bank is different. How much is their annual fee? The average is $20-30. Is there at least a 20-25 day grace period if the balance is paid in full every month? If not, then you’ll be paying interest from the date of purchase, so this point is huge. What is their interest rate? Even if you’ll be paying off your balance in full every month, you still want the lowest rate possible. The median rate as of 3/2/09 was 19.07% (Bankrate.com). Review all of their eligibility requirements (or ask if they’re not posted) before you apply, because you can be denied for even a secured card.